The temperature is a little cooler, thank goodness! But summer is not quite over yet and refreshing and cool treats are still very much welcome. My girls and I love cool treats and yogurt is one of them. We actually have a few yogurt related recipes coming up so stay tuned. This time around though, I just want to share with you. OK, you can call it bragging too. I was excited when I got this package in the mail. Check it out! 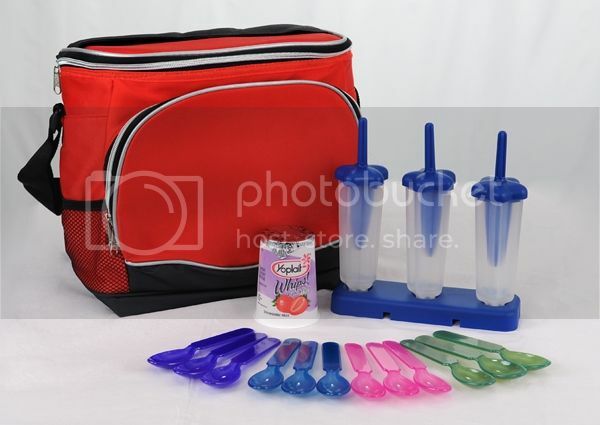 Thanks to My Blog Spark, I received this gift pack along with free coupons for Yoplait Whips!. Yoplait happens to be one of our favorite snack around here so we were happy to get the free coupons! Well happy to receive the gift pack too, who wouldn’t? Look at it! Now if you love creamy desserts like I do, you will love these Yoplait Whips!. When you’re eating these whips you’d think you were eating something totally decadent instead of something that is deliciously good for you. Even the flavors sound decadent with names like: Chocolate, Chocolate Raspberry, Dulce de Leche, Key Lime Pie, Lemon Meringue, Orange Crème, Peaches ‘N Cream, Raspberry Mousse, and Strawberry Mist. After reading a few websites and blogs, I learned that some people freeze their yogurts. Who knew! My girls just dig into to them as is, cold from the refrigerator! But now that we learned they are also great frozen, we’re definitely going to try them out that way next time. For a great deal on Yoplait Whips!, download a coupon here and get $0.60 off your next purchase; OR get free Yoplait Whips coupon just by signing up to subscribe to the Betty Crocker’s Newsletter via email which is also free! OR, if you want to get the same goodie bag I received, sign up for the giveaway below. 2. Share this giveaway in any media such as Twitter, StumbleUpon, Digg, Facebook, etc. There is a share button at the end of this post for your convenience. Just make sure to come back and leave a comment for each share you make and you will gain an entry for each one. 3. Blog this giveaway and you will earn 3 entries. Leave a link to your post. 1. Giveaway ends on September 14. 2. Open to US addresses only. No PO Boxes. 3. Winner will be chosen by random.org and contacted by email. Please respond in 48 hours or a new winner will be chosen. 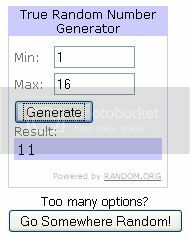 The winner is: Alba Guevarra the Independent Mami who blogged about this giveaway. Lasang Pinoy 22: Rice to the Challenge!